If you visit the village of Nuglašica, you can taste local traditional cuisine, featuring hard and soft cheese, different kinds of pies and other meals prepared as ordered in this household. The cabin accommodates 12 guests, while 4-6 people can be accommodated in the house. Both are surrounded with a beautifully decorated courtyard, where tourists can also set up their tents. Marked paths can be found in vicinity of this household, at 730 meters above sea level, and lead to Veliki Šator Mountain (1.872 meters above sea level), Lake Šator (1.500 meters above sea level) and Veliko Brdo (1.487 meters above sea level) at Staretina mountain. On demand - mostly throughout the whole year. 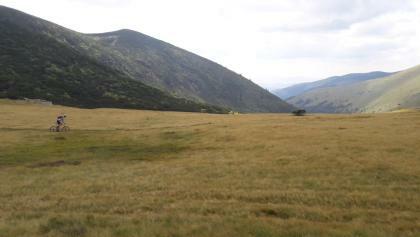 The household is located in Nuglašica village, beneath Šator Mountain, 50 km from Livno and 30 km from Bosanko Grahovo. 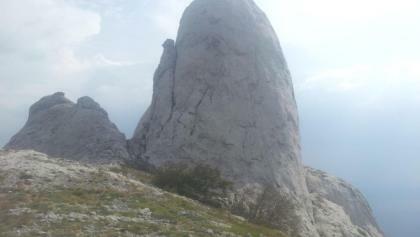 It is located at the trail head to Šator, and close by the trail head to Troglav which is the White Trail of Via Dinarica. This location is the only accommodation base for Troglav and Dinara hikes, and start (or end) point for hiking Via Dinarica in Bosnia and Herzegovina. There is no public transport to the place, but you can take a cab in Bosansko Grahovo - it's a 25min car drive. 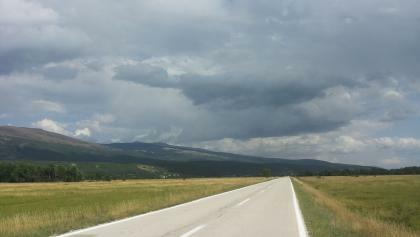 From Bosansko Grahovo to Livno, follow the M6.1 road and turn left in Grkovci village. From there follow the road all the way to Nuglašica village. You can park your vehicle near the house.